At the end of last month's book review, I ran a poll to let you decide which of my upcoming royal reads should be reviewed here next. 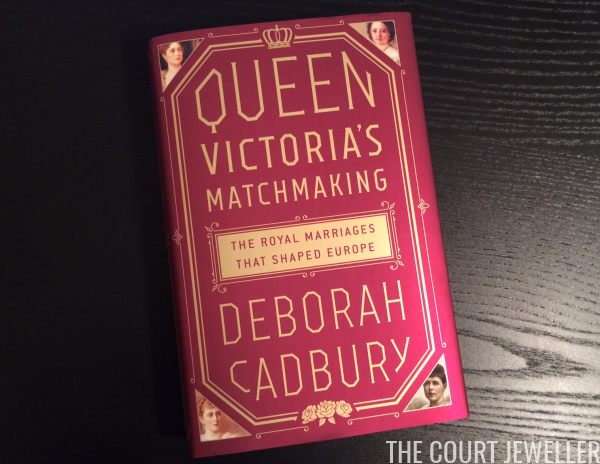 The winner was Deborah Cadbury's Queen Victoria's Matchmaking, which was published last month here in the United States. I'm happy to say that I think you all chose an excellent book! 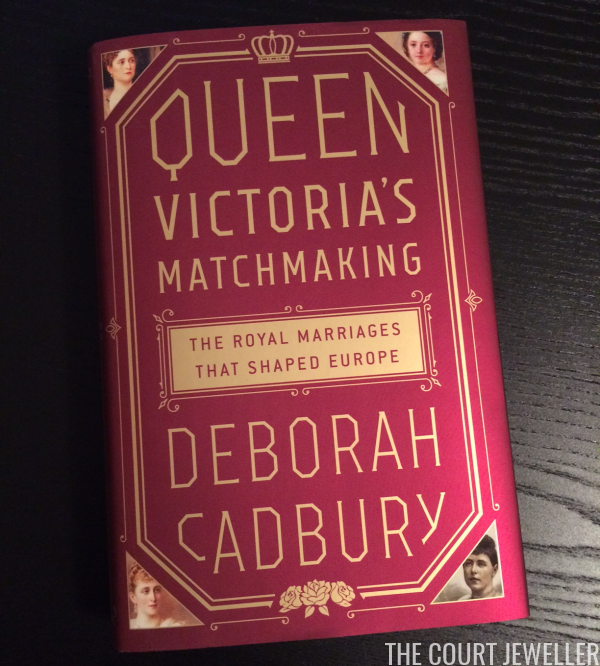 Cadbury, who also wrote the excellent Princes at War (now available in paperback), focuses this new book on the complicated world of matchmaking for the children and grandchildren of Queen Victoria. The book does an excellent job at emphasizing the dual nature of these royal matches: the couples had to love (or at least like!) each other, but they also had to be suitable politically. The extended royal family occupied thrones in disparate parts of the continent, and marriages brokered between the various branches could be extremely consequential politically. This becomes especially true when the book focuses on the German and Russian matches made by several of the family members. Personality and politics clashed mightily -- sometimes preventing genuine love from taking hold. 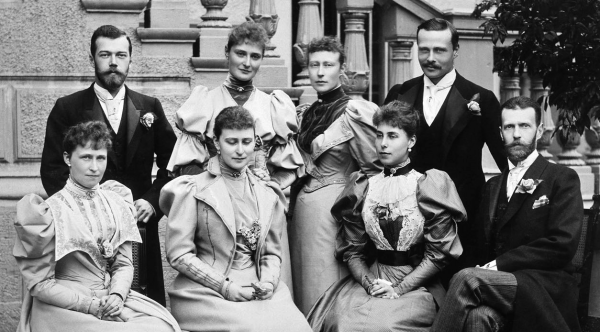 Some of the most fascinating parts of the book deal with the intertwined love lives of Victoria's British grandsons, the Duke of Clarence and the Duke of York (the future George V). 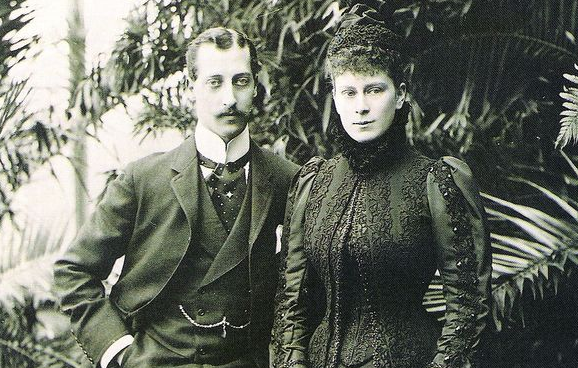 The two ended up being engaged to the same woman, but first they pursued failed relationships with Alix of Hesse (the future empress of Russia), Helene of Orleans, and Marie of Edinburgh. The book does a wonderful job at untangling the various stages of their matrimonial pursuits and contextualizing them in history -- the section on Eddy and Helene's romance, including the problems of a Franco-British romantic alliance after the final fall of the French monarchy, as well as Helene's desperate audience with the Pope in Vatican City, is one of my favorite parts of the book. Any regular reader of The Court Jeweller will undoubtedly devour this book with immense enjoyment. Cadbury's final version could have benefited from one more editing pass -- I've noted a few typos, mostly date-related -- but that's really nitpicky on my part. There's simply not much I can say to critique the book. I loved it, and I think all of you will, too. If you'd like to read and help support the blog, you might consider purchasing it through the Amazon links in this post; the book is currently available there in hardback for 34% off the list price! Note: Some links on this page are Amazon affiliate links. I put all money that I receive from these affiliate links back into materials for review on the blog (including the book reviewed in this post), so if you want to read more reviews, consider purchasing items through the affiliate links in this post and throughout the site. Thanks, everybody!